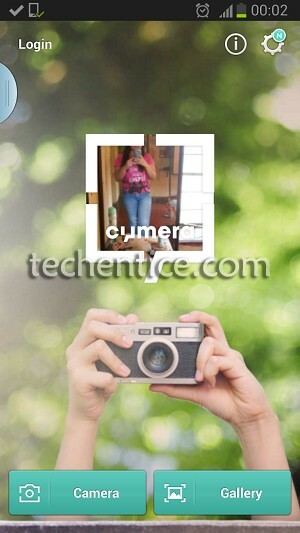 Cymera can become the ultimate destination for photo editing. It is a product of CyWORLD a Korean company. 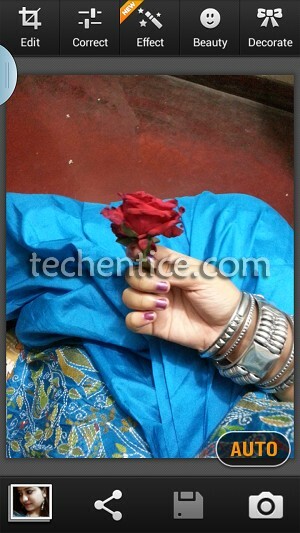 This application comes in top 5 android applications for photo editing. You can capture pictures, edit photographs and share them anytime. When you open the application for the first time, you will be guided with small tips for help. Opening the gallery is arranged in 5 parameters based on View all, Recent Items, Timeline, Face Detected photographs and location based. When you open a photo for editing the first options that pop up are Effects, Collage, Share and Delete. Auto options is there for enabling the automatic editing mode. There is an “I” sign which provides detailed information on the picture. Edit- Make collage, crop pictures, rotate or straighten them to make some precious moments more cherishing. Correction- A wide range of options are available in Cymera. Some correcting features like Auto level, brightness, contrast, saturation, sharpness are there. And every feature has a slider to increase or decrease the effect to give a sooth result. Effects- Effect has everything that one can crave for. The four main categories are Filter, Light Border and Blur. Filtering makes change in theme of the picture with basic and art themes. The themes are Vanilla, Embers, Atomic, Sweet, clear, Sparkly, Stain, Float, Sunlit, Retro and many more. Artistic effects include Cellophane, Halflone, Pen Sketch and others. Beauty- Next Comes Beauty in the list. This is funny as well as interesting. You can make small eyes look bigger, a round face look slimmer, liquefy a portrait to shock your friends or add some blush and makeup on your photo. Some fun features include hairstyle editing, brightness, cover spots and mosaic. Decoration- This is nothing but inserting cliparts and stickers and painting on a photo with different patterns of brushes. Collage- Different types of collage and frames can be produced to capture your personal moments in the best possible way. Share- Sharing the pictures with social networking applications. This application has received great response and users of play store has rated above 4. Cyworld has a separate networking where users can login. This application definitely deserves to come in the top 10 photo editing app list of Android. You must try it once.